When planning vacations, some may consider the advantages of staying at Hawaii resorts versus staying at hotels. But what are the fundamental differences between staying at resorts as compared to staying at hotels? Are there difference and advantages? This tries to explain them as well as how they can benefit you, the potential traveler to Hawaii. Generally speaking, a resort offers more things to do within the confines of its property as opposed to a hotel. These things includes: spa, pools, restaurants, activities, tours, shops, services and more. The overall idea behind a resort is that you will be spending more time on the property than at a hotel. As a result, resorts tend to be larger and more complete properties. And because they typically offer more amenities and services, may be somewhat more expensive than hotels. The Aloha State has many options for Hawaii resorts as it does for hotels. 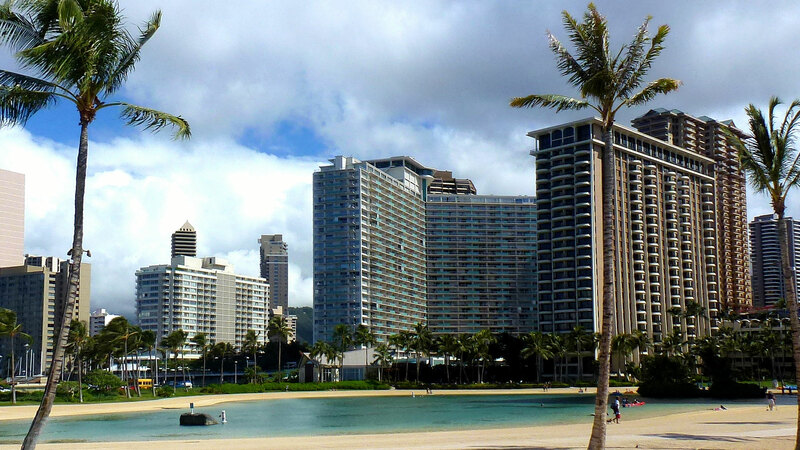 One of the largest of them is located within the Waikiki area, the Hilton Hawaiian Village. It comes with a large complex of shops, restaurants, banquet, meeting room facilities. Recently, Disney has established itself in west Oahu in the form of the Disney Aulani Resort & Spa. The same is true for resorts on the other major Hawaiian Islands. 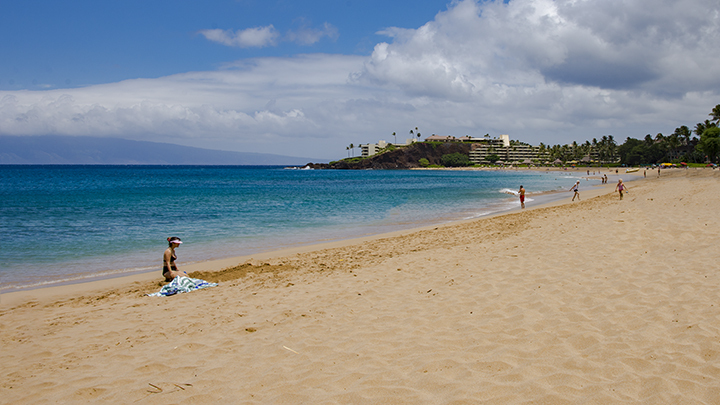 Resort hotels, such as Hyatt, Marriott, Four Seasons and other major brands can be found in the Ka’anapali, Wailea and Kapalua areas on Maui. On Kauai, resort hotels from comparable brands can be found in the Hanalei and Poipu areas. On the Big Island popular resorts can be found along the Kohala and Kona coasts. View of hotels along Ka’anapali Beach on Maui. Why Should You Choose a Resort over a Hotel? Perhaps if you plan to stay in single location, staying at a resort might be an ideal way to spend your Hawaii vacation. Stay at a resort that has it all, beaches, spas, golf course, restaurants and most everything you want out of your vacation. Why go to anywhere else? But if you’re planning to be out on the road a lot visiting all that Hawaii has to see, maybe a hotel would be a better place for you. But whether you choose a resort or a hotel, our Hawaii Interisland Flights website has a wide range of options for you.